We recently encountered a Quadral speaker for the first time, in the form of an elegant standmount called Rondo. This is, apparently, Germany's third largest speaker company, and it is making its first UK appearance via Axcelle Ltd, distributors of Wireworld cables. The Quadral catalogue shows a huge range of models, only some of which will find their way to these shores. This little £849 per pair Pico is actually from the same Phonologue Compakt range as the Rondo. Just three stereo pairs make up the Phonologue Cs - there are no multichannel partners in this case - and the Pico is actually the Rondo's baby brother, with the same styling and finish options, and the same high-quality ribbon tweeter, but a rather smaller enclosure and bass/mid driver. The unit has a 135mm cast chassis and a 100mm diameter metal alloy cone, made from a mixture of aluminium, titanium and magnesium. Quadral calls this Altima, logically enough, and claims it gives superior resonance control than single element metals or other materials. The bonus with ribbon drive units is that the ribbon-shaped metal diaphragm - 60 x 8mm in this case - is also the voice coil to which the signal is applied, so there's no possibility of any losses due to diaphragm coupling or resonance. However, the magnetic field has to be very powerful to bridge the relatively wide gap, which is costly and makes shielding difficult. The ribbon's shape ensures fine lateral dispersion, but vertical dispersion will be more restricted, so it's important to position the speakers so that the tweeters are at ear height. This very compact two-way standmount comes in the high-gloss graphite finish of our samples, or a choice of Maple, Bubinga or Cherry real wood veneers. It's very solidly built, with elegantly sculpted side panels, and looks very restrained, discreet and elegant, flush-mounting the silver-grey driver chassis'. A rear port loads the enclosure, and two pairs of terminals provide the bi-wire option. A pair of Open-cell foam bungs are also supplied to damp the port output. Quadral's larger Rondo showed much promise four months ago, though the bass alignment with its port unobstructed proved less than ideal, and best results were obtained with the supplied foam bungs in place. The first reaction to installing the Pico, however, was so positive that the phrase 'less is more' immediately sprang to mind. Although those bungs could be useful if the Picos have to be placed close to a wall, our measurements indicate that free-space with ports open is likely to work best here, and this was confirmed in auditioning. Bass is inevitably somewhat limited, so this is not an ideal choice for those who like their beats hard and heavy. But what bass there is - and there's more than you might expect from the small box size - is clean, agile and refreshingly free from boom or thickening. But it's the clarity, neutrality, openness and freedom from coloration further up the band that really sets this speaker apart. High quality speech is always a tough test, and here the Pico proved unusually good. 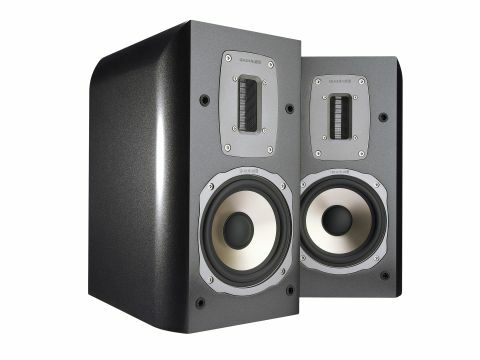 While a mild degree of nasal and boxy coloration is detectable, both are well below what is usually encountered, and if it doesn't quite achieve the standards of a classic BBC LS3/5a monitor, it gets impressively close. The tough enclosure helps keep boxiness well under control, and its small size, fine coherence and sweet top end all help the speaker itself to 'disappear', leaving just the well formed and focused image.